Foxconn yesterday confirmed the company was considering US investment, after Trump’s talk to Apple chief Tim Cook earlier last month. Now, a satirical Bloomberg column imagines how Foxconn chairman Terry Gou would respond to Trump’s plan of an All-American iPhone. 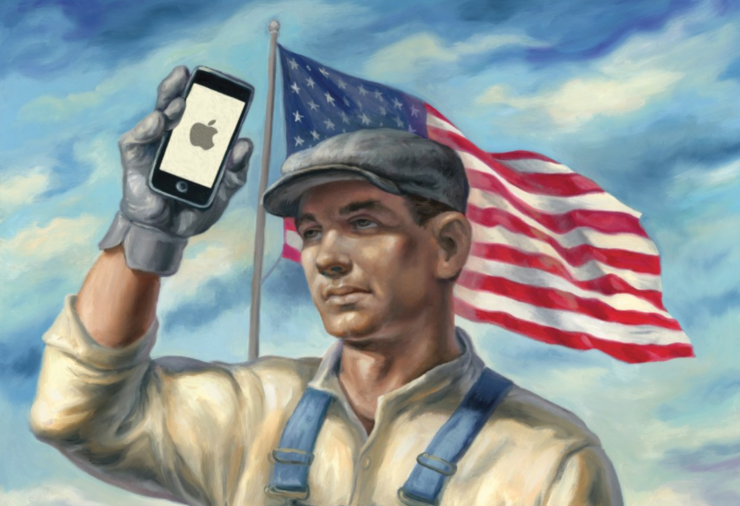 After talking about the similarities between the two billionaires, and Gou getting inspired to run for office himself, the piece suggests how other countries previously have required Apple to make its products within the country to avoid import tariffs. The actual changes – to local employment and otherwise – were minimal. When Apple told me to start making iPhones in Brazil to get around import tariffs, I made it happen. It didn’t create much employment, mind you, because I just exported pre-fabricated iPhones for the locals to slot together — kind of like Lego — but it got the job done. And by job, I mean kept Apple’s and Brazil’s leaders happy. Gou then suggests that his company could do the same for the President-elect in the US, but it wouldn’t necessarily create new jobs, but would definitely get Foxconn a number of benefits. Bumping up your import tariffs won’t change the equation much, but give me tax breaks, subsidies to hire workers, cheap electricity and free land, and I’m sure we can come to some arrangement. Let me know what numbers you want to Tweet, and I’ve got your back. “But just remember: Like that wall you’re planning to build, somebody’s going to have to pay. And it won’t be me, let me tell you,” fake Gou ends his letter to Trump.